DISCLAIMER: MOD AT YOUR OWN RISK - I am not responsible for you doing this incorrectly and damaging your car and/or yourself. This is what worked for me and if it doesn't for you, oh well. NOTE - This is meant to work with fog lights that are installed from the factory/dealer and may or may not work with aftermarket fog light kits you install yourself. First off, get in the car and remove your radio bezel by pulling on the edges until it pops off, unplug the plug behind the clock and set the panel to the side. Next remove the radio by unscrewing the 4 10mm bolts on all 4 corners of the radio. Pull it out, unplug all connectors and set it aside. Under where the radio was There is a bracket holding the relay for the fog lights, unscrew the 10mm bolt holding it in place and pull it up so you can access the wires. Sorry about the cluttery wiring but you get the idea. Locate the 18g RED wire and cut it with adequate room to strip. Strip and extend the part of the wire the is coming from the relay. The other half can be left there. Run the wire under the dash so it can reach to the fuse box under the driver's side of the dash. Remove the panel covering the fuse box by pulling on any side until it pops off. Depending on how you want them to work, you will have to locate a wire for power. tap into this wire and connect the wire you ran earlier to send power to the fog lights via your parking lights. 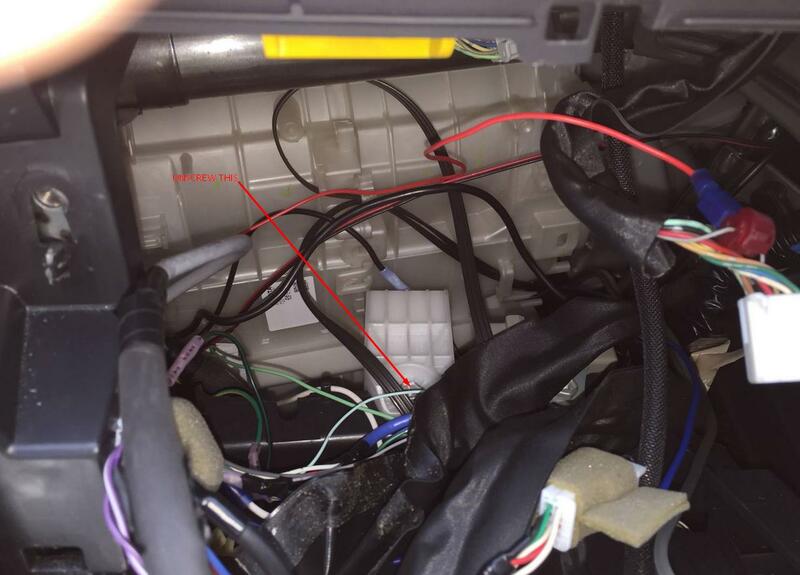 If you want them to turn on with ignition (as in they will turn on any time the car is on so long the button is activated), locate the 14g GREY wire in the loom directly in front. 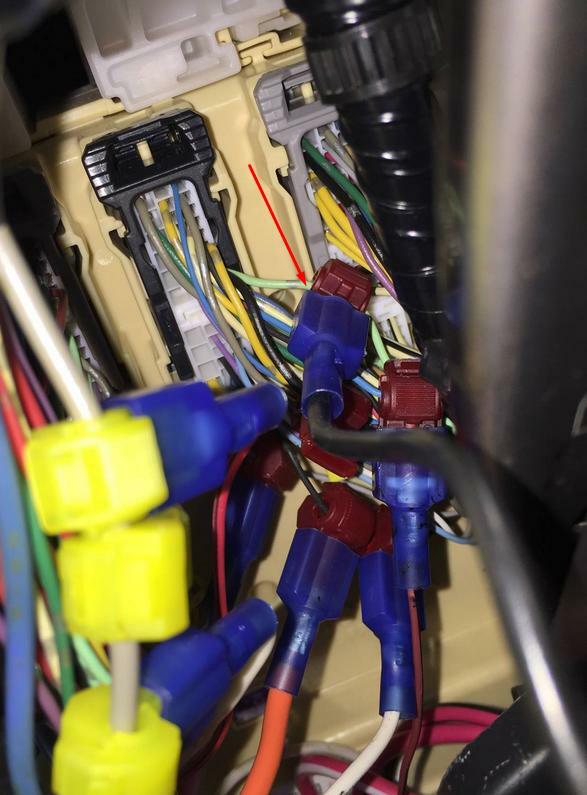 (You may have to cut through tape to access it), tap into this wire and connect the wire you ran earlier to send power to the fog lights via ignition. Everything is now connected so you can put back all panels and your fog lights are now independent! Did the light green wire version "fogs on with parking lights" Here's my problem.. Did everything right but now my fogs do not work also when I turn my headlights on the lights in my head unit fade completely out and as soon as I turn my headlights off the head unit lights come back on lmao help.. This is what happened last time I did it. The heat/ac ***** would not light up. After a few days it started to smell like burned plastic. The wires were melting. 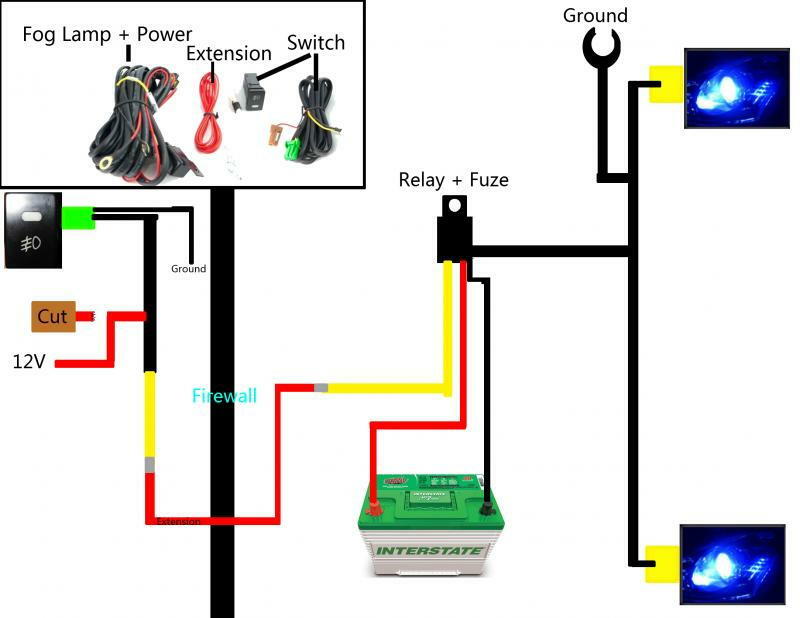 IMHO Its a lot easer, and SAFER to run separate wiring and not run the risk of damaging your car's electrical system. This will also work with factory installed lights. You just bypass the factory wiring. Like I said in the post this is what worked for me. I just reposted the instructions from the old thread where the pics disappeared. If you want the make your own thread on how you do it, be my guest. This is what i did with mine. Got the power of the fog switch connected to park lights so when you turn your park lights on you can either turn it off or on. I also did wired it to my cigarette lighter but the switch has a light constantly on so i decided to remove and connect it to park lights. Hi everyone. I bought an aftermarket fog light for my 2011 tC and wanted to know if there was a way to use the original fog harness and hook it up to my fog lamps. I searched for 2 months for an answer and found nada. 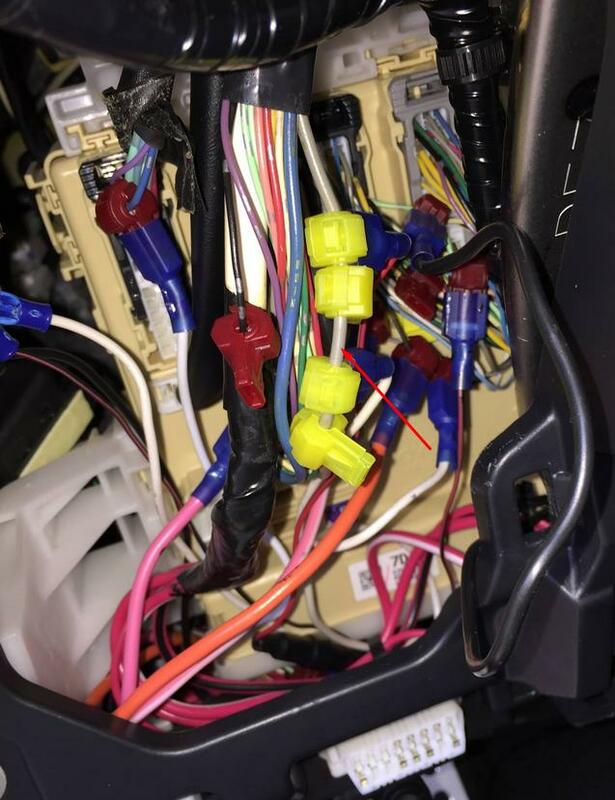 I was hoping someone could help figure out how to manage this wiring mess. you are the man! been looking for the parking light wiring for days now. No way. The plugs wont fit unless its OEM. okay I tired the green wire and I think I used there wrong one. There is about 5 different green wires with the grey dots coming off of the wiring. So I just used the grey one. thanks man. i listen to you and did the wiring with the aftermarket harness. but now i have another noob question : what collor is the ignition wire under the steering wheel? big fat grey one coming out of the 2nd (middle) connector. i will wait for warmer temperatures to go uner and finish the instal. There is a 4-pin plug behind the panel with the controls for the side mirrors. It will probably be taped to a bundle of wires. This plug is for the factory fog light switch. The wires are tan, brown, blue, and white/black. 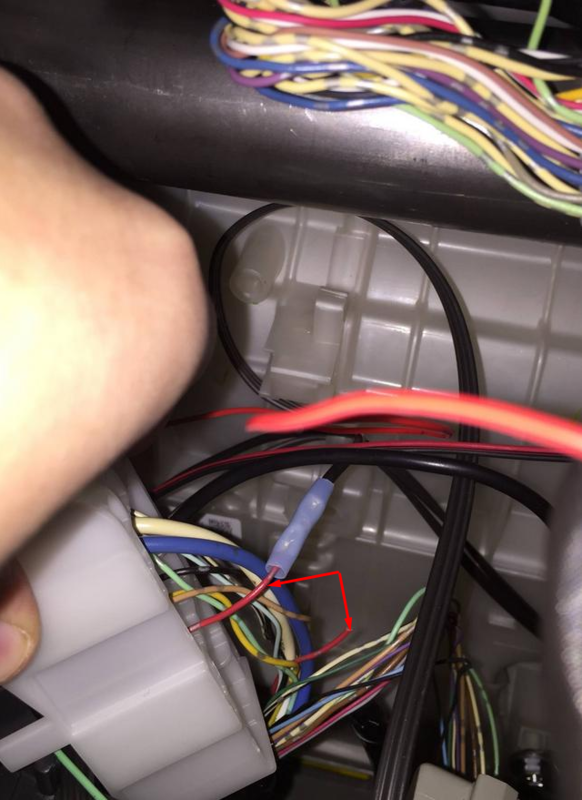 The brown wire shows 12 volts when the parking or headlights are on. If you have an aftermarket fog light switch, this is unused, and will serve the same purpose as the light green parking light wire, and that brown wire is right where you need it to be. 2016 Scion tC fog lights and headlights?